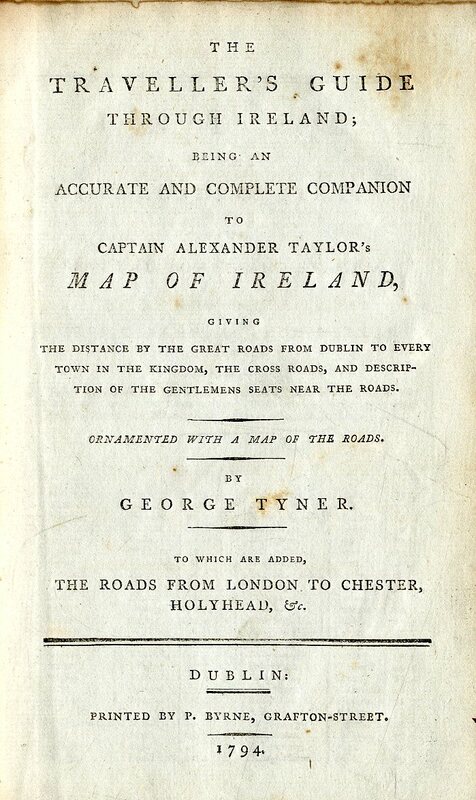 Tyner (George) The Traveller&#39;s Guide through Ireland, 8vo D. 1794. First Edn., hf. title, &amp; fold.